Imagine you have a plane, flat surface with a square grid drawn on it. You have a standard cubic die which is placed flat on the surface. Its length is the same as the length of side of each grid square. The only way to move the die to an adjacent square is by tipping the die into the square. So obviously the die cannot move diagonally. Since this grid is infinitely large, there are infinite round trips that can be made with the die. Some of these round-trips can cause a rotation of the die. The set of all round trips can be categorized into equivalence sets, where each class represents a particular rotation following a round-trip. These rotations naturally constitute a group. Can anyone list out all possible rotations in this configuration? Also, when moving the die around, I noticed that it was impossible for a round-trip to produce a 90 degree rotation about the the axis perpendicular to the surface. Can anyone give me a simple proof of this? It seems to be an easy proof, but I am unable to show it. Also, if we generalize this to a n-sided die, what are the impossible rotations? If anyone could provide a related paper or reference as well, I would really appreciate it. Rolling around a square produces a $\frac 13$ rotation about a body diagonal. This generates a subgroup of size three. Rolling around a different square will fix a different diagonal, generating another order three subgroup. Both of these are subgroups of the even permuations. I believe they generate the whole even subgroup. Rolling around a $2 \times 1$ rectangle produces a $\frac 12$ rotation around an axis through opposite face centers. This generates a subgroup of size six. Both of these correspond to even permutations, while a single quarter turn is an odd permutation. By checkerboard coloring the grid, we know that to return to the starting square requires an even number of quarter turns, so a single quarter turn is not possible. Added:It is actually much easier for other side dice. For all of the other Platonic solids, you have specified the orientation once you specify the bottom face. 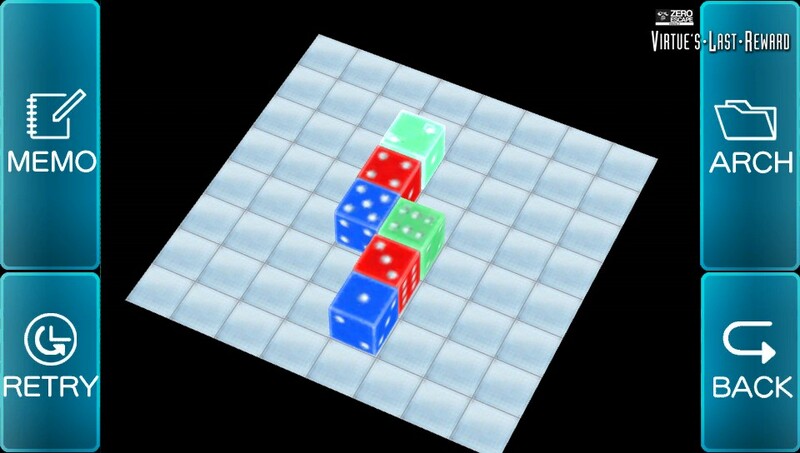 For $20$ side dice, if you roll six times around one vertex, you come back to start having moved one face, so you can get any face on the bottom at the starting point. For $4$ side dice, when you come back to start you have the same face down as you started with. You can cover the plane with a triangular grid in the standard way and each triangle has a face that will always be down when the tetrahedron is on that cell. For $12$ side dice I don't think you can get back to the starting location except by retracing your steps from somewhere because the pentagons don't overlay. For $8$ sided dice you can color alternate faces black and white on the octahedron and only the faces that match the original one in color can wind up down at the starting point-color the triangular grid on the plane to match. As rolling six times around the same point gets you back to start with a different face down, you can get four faces down at start. Here's a slick method: label the die with the usual numbers of pips (so 1 is opposite 6, 2 is opposite 5, and 3 is opposite 4) and label the grid like a chessboard. Then place the die on a black square with the die angled in an isometric view (think Q*bert) with the numbers 1,4,5 visible (for instance). Now, what happens if you make a 90 rotation around an edge? Two of the faces remain visible, but the face which is hidden is replaced with its opposite face. The important point to note: opposite faces have opposite parity (odd/even), so the resulting sum of visible faces now also has opposite parity! Thus, no matter how you manipulate the die, it will always have an even sum of visible faces when positioned on the black squares, and it will always have an odd sum of visible faces when positioned on the white squares. Of course, if the die began instead with an odd sum of visible faces on a black square or an even sum of visible faces on a white square, then it will always have an odd sum of visible faces when positioned on the black squares and an even sum of visible faces when positioned on the white squares. That is sufficient to answer your question. It's not hard to show further that there exist round trips to rotate a die into any configuration of the same parity. Not the answer you're looking for? Browse other questions tagged group-theory recreational-mathematics rotations dice or ask your own question. The Mathematics of Skateboarding Tricks.